This enticing skull necklace is from the fine artisans at William Henry. 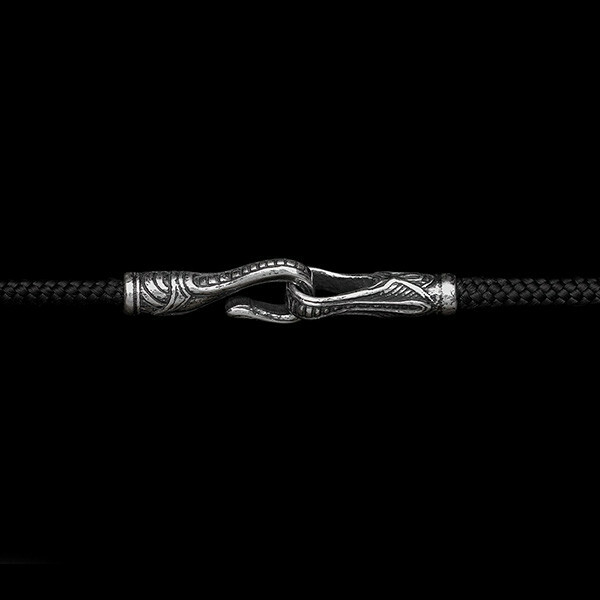 With great attention to detail, the hand-sculpted skull is forged in sterling silver, and it floats along a paracord necklace. This William Henry creation is a great piece for the weekend warrior who lives an edgy lifestyle or just wants to!